Program - BravesREAD @ HCMS! Heard County Middle School’s media center serves students in grades 6-8. Students participate in Book It, Read to Succeed, Read Across America, Teen Read Week and other activities throughout the year. We participate in the Box Tops For Education Program, and sponsor book fairs to earn money for books, reading incentives and other items needed in the media center. This school opened in August, 2002. Each student will be given an opportunity to research, learn and create. Patrons will locate, evaluate and use resources comfortably, correctly and legally with the goal of being independent learners for life. Patrons will be encouraged to enjoy reading for the simple joy that reading brings. Our collection is chosen with care to reflect the needs of all students and staff. Our collection will provide quality resources in all formats to meet a wide range of learner abilities, developmental levels and modalities. 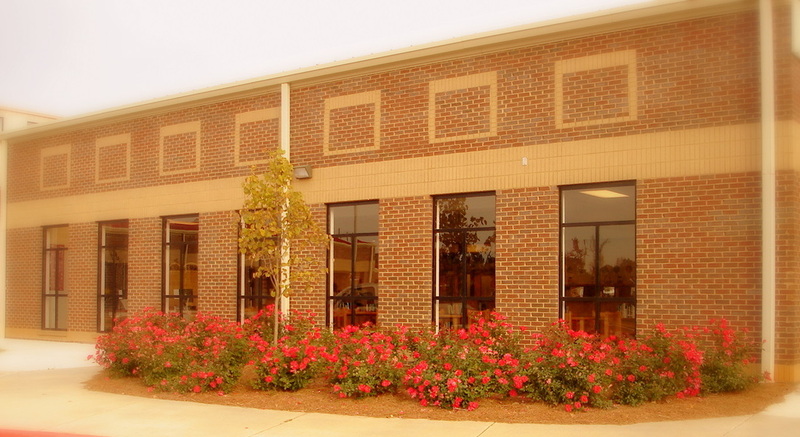 The Heard County Middle School Media Center is located at the front of the school building, to the right of the main office. Fiction, Non-Fiction, Reference books are sorted by the Dewey Decimal System and housed in one large room. Software, equipment and the network server are located in two separate rooms at the back of the main room. The Media Center houses over 10,000 books and has 12 patron research/library look-up stations. Patrons have access to online and print magazines and one daily print newspaper. Reference Section : Contains dictionaries, encyclopedias, almanacs, atlases and other materials. This section is located along the first wall to the left of the entry door. The section continues along the back wall, ending at the entrance to Room 112 (Electrical Distribution). Non-Fiction : Contains books that state truth and facts. These are filed according to the Dewey Decimal System, beginning at the left-hand side of the second group of mid-room shelves. Patrons can locate books by matching the electronic card catalog to the call number of the books. The call number is printed on the spine of every book. In this section, the call number includes the Dewey number and the first three letters of the author’s last name. Magazines : Contains magazines for research and reading pleasure. This section is located near the windows at the rear of the main room. Professional : Contains books for the staff. This section is located in Room 112 and past the network file server. This media center operates on a flexible schedule, which allows patrons to use the media center as needed individually – with teacher permission – throughout the day. Flexible scheduling makes it possible for teachers and the media specialist to plan cooperative lessons. A dynamic, student-centered library media program fosters information literacy and a lifelong love of learning – the basis for true information power. A flexible schedule means that the media center is open to all patrons for the entire school day. This allows the teacher to send students as individuals, in small groups of five or less, or schedule for whole class activities as needed. When teachers send small groups to the media center, they must have a note explaining their task. Patrons must have signed Internet Agreements (these are recorded on our library system based on teacher lists). Teachers are encouraged to reserve times for research (small and large groups) in advance by using our appointment calendar. Collaboration, leadership and technology are integral to every aspect of the library media program and these are the three basic ideas in Information Power: Building Partnerships for Learning. Planning between the media specialist and teachers is vital in meeting today’s educational goals. The media specialist serves as a partner to the classroom teacher with use of the media center being integrated into classroom lesson plans. The information literacy standards for student learning are a tool for supporting and structuring students’ development as lifelong, independent learners. Standard 4 : The student who is an independent learner is information literate and pursues information related to personal interests. Standard 5 : The student who is an independent learner is information literate and appreciates literature and other creative expressions of information. Standard 6 : The student who is an independent learner is information literate and strives for excellence in information seeking and knowledge generation. The media center is open from 7:30 a.m. until 3:30 p.m. each week day during the school year. Teachers may send small groups of four-five students to use the media center for book or electronic research. These students must bring a note specifying the URL/Galileo… and a time limit from their teacher. Teachers may reserve up to five of the media center computer stations for electronic research by signing the appointment calendar at the circulation desk. Group research and group checkouts should also be scheduled with the media specialist and recorded in the appointment book. Teachers and staff members may check out materials for as long as needed throughout the school year. All materials are due the last day of school. Teachers may request books and materials from the West Georgia Regional Library through the media specialist. These materials are due as specified. Copyright booklets are checked out to each staff member at the beginning of the school year and checked back in at the end of the school year. These booklets have information about copyright laws. Students may check out books during the media center’s hours of operation. A student may check out two books at a time for two weeks at a time. There are no fines for overdue books, but a book that is lost, damaged or not returned will be coded “lost” or “damaged” and a bill will be issued for the cost of the book. Checkout privileges will be suspended until the item Is cleared by the media specialist or media assistant. Students with a lost, damaged or overdue book will not receive a report card until the book is paid for or returned. Refer to the Official Code of Georgia, annotated 20-2-1013 Lost/Missing Books. Patrons must have a library/media identification card to check out a book. However, a book may be renewed or returned without the card. New patron identification cards with updated photos are issued at the beginning of each school year. The cost to replace a lost card is $1, which covers printing and laminating expenses. All patrons must go through a library/media orientation at the beginning of each year. The media specialist must be notified if a student withdraws from school to determine if they still have books checked to their card. The school media committee is made up of the principal, media specialist, parent/community representative, teacher representative from each grade level and student representatives. This committee is appointed on a yearly basis and provides input to the system media committee. Duties of this committee include: assisting in setting short range goals, helping to identify budget priorities and assisting with book challenges. All complaints to staff members will be reported t o the building principal involved, whether received by telephone, letter, or in personal conversation. The principal or his or her designated representative will contact the complainant to discuss the complaint and attempt to resolve it informally by explaining the philosophy and goals of the school district and/or the library media center. If the complaint is not resolved informally, the complainant will be supplied a packet of materials consisting of the District’s instructional goals and objectives, materials selection policy statement, and the procedure for handling objections. This packet will also include a standard printed form which shall be completed and returned before consideration will be given to the complainant. If the formal request for reconsideration has not been received by the principal within two weeks, the issue will be considered closed. In accordance with the statement of philosophy, no questioned materials shall be removed from the school pending a final decision. Pending the outcome of the request for reconsideration, however, access to the questioned materials can be denied to the child (or children) of the parents making the complaint, if they so desire. Upon receipt of a completed objection form, an evaluation committee (which will include members of the school’s media committee) will meet to discuss the complaint. Members of this committee will include the media specialist, principal, assistant principal, community/parent representative and teacher representatives. The curriculum director will also be invited to attend. The principal will notify the complainant of the decision and send a formal report and recommendation to the superintendent. If the committee decides to keep the work that caused the complaint, the complainant will be given an explanation. If the complaint is valid, the principal will acknowledge it and make recommended changes. If the complainant is still not satisfied, he or she may ask the Superintendent to present an appeal to the Board of Education which shall make a final determination on the issue. In making its determination, the Board of Education may seek assistance from outside organizations such as the American Library Association, the Association for Supervision and Curriculum Development, etc. In addition, the title in question cannot be reconsidered for three years. The media specialist will provide the most current copyright information to the staff and students. Research lessons will include information on copyright, plagiarism and how to correctly cite resources. Teachers may check out books on copyright and refer to the information checked out to them to keep in their classrooms throughout the school year.